NISGUA partnered with Jalapa-based youth organization, Youth Organized in Defense of Life (JODVID), for a 16-day U.S. speaking tour, “Guatemalan Youth in Defense of Land and Life.” Together we helped raise awareness about the community and youth forces that have organized in resistance to Tahoe Resources’ Escobal silver mine in southeastern Guatemala and the human rights abuses that surround the project. As a representative of the youth movement in resistance to mining in the Santa Rosa and Jalapa regions, Alex shared stories and perspectives from his community’s struggle to assert their self-determination and defend their territory against transnational corporate power. Read more about environmental defenders in NISGUA’s 2017 report. In collaboration with volunteers and activists in Illinois, Wisconsin, Ohio, California, and Washington, D.C., youth environmental activist Alex Escobar spoke at 28 events in 9 U.S. cities. 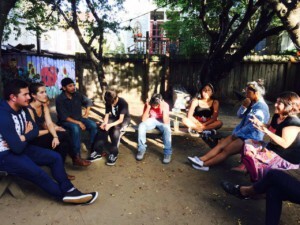 Events included strategic meetings with state actors in the nation’s capital; exchanges with activists fighting against environmental racism in Chicago; residents of the Menominee Indian Reservation in Wisconsin fighting a proposed iron mine in their territory; young organizers engaged in environmental and queer activism in rural Wisconsin; and an art exchange with Latinx youth in San Francisco’s Mission neighborhood, among others. We hosted our first-ever virtual exchange using the Zoom teleconference app, gathering 26 participants in the U.S., Canada, and Guatemala for a conversation with Alex Escobar on youth activism, closing our 2017 speaking tour. You can watch the recording here. 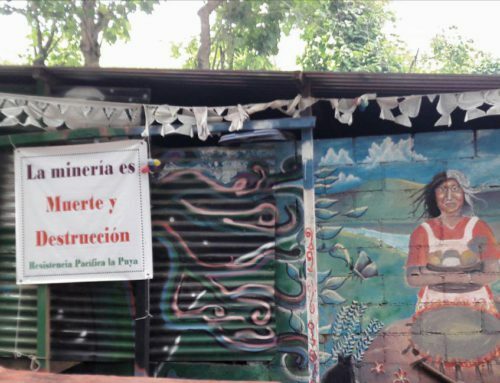 This year on tour, NISGUA and our partners organized several events in which Alex met with local Latinx and environmental student activist groups along with local community organizations fighting for migrant rights and against mining and environmental racism. Together, we were able to make cross-border connections in a global struggle against oppression. 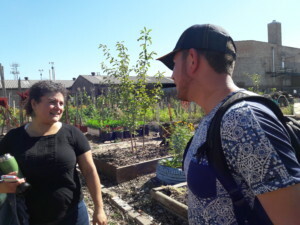 Little Village Environmental Justice Organization (LVEJO) gave Alex a tour of Chicago’s historic latinx community, La Villita. LVEJO has stood with community members in reclaiming cultural identity and recuperating healthy and pollution-free community spaces. 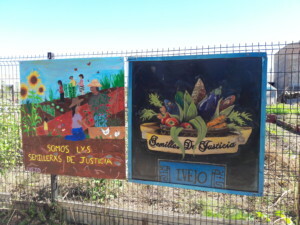 LVEJO’s Lilian Molina showed us the community-designed La Villita park located on the site of an old asphalt factory. LVEJO fought for the federal funding needed to clean up this once highly contaminated land. 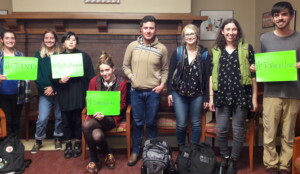 On campus at Oberlin University in Ohio, JODVID and NISGUA met with the student Guatemala Solidarity group, OSSGUA and environmental activist group, Students for Energy Justice where we discussed the need for cross-boarder movements for the protection of the earth. 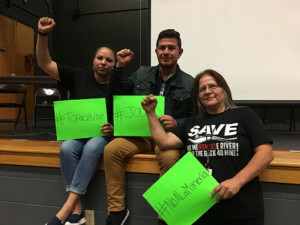 Lorain, Ohio Immigrants Rights Association (LOIRA) is a grassroots organization that runs rights education workshops and provides support for local migrant community members. 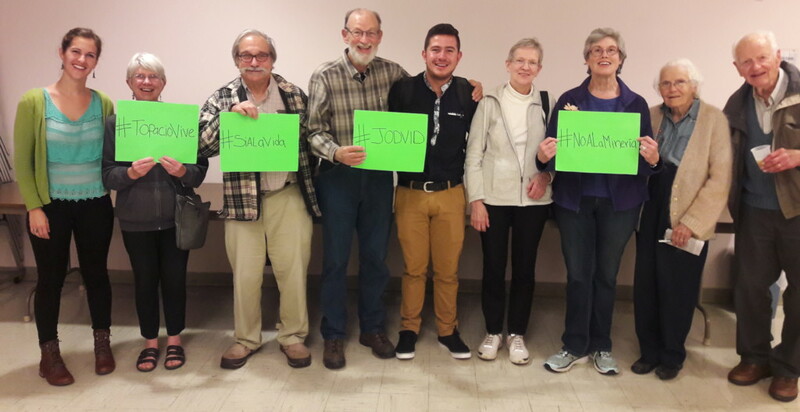 President, José Mendiola, spoke to NISGUA and JODVID about their struggle for migrant rights. NISGUA and JODVID joined the grassroots organization Menekanaehkem (which means community rebuilders in Menominee), members of tribal government and a delegation from the Bad River Band of Lake Superior Chippewa Tribe in an assembly at the Menominee Indian High School in Wisconsin. The Menominee Indian Tribe of Wisconsin is part of a coalition of communities, local governments, and environmental organizations fighting the Back-40 project, a proposed open pit metallic sulfide mine. Not only would it put communities’ clean water supply at risk, the mine would be constructed on sacred burial grounds that hold historic, cultural and religious significance for the Menominee people. Menominee youths spoke at the assembly: “It is very important for us, Menominee children, to protect our ancestors. If it wasn’t for them, we wouldn’t be here. Each and every one of us has a gift, its our voice. That gift is very powerful to spread awareness”. 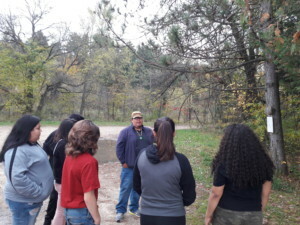 On the banks of the Wolf River, Menominee activist, Guy Reiter, showed JODVID, NISGUA and a delegation of youths from the Bad River Band what they are protecting. 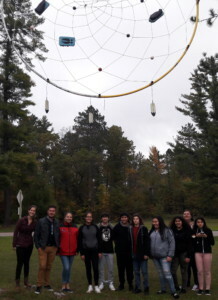 NISGUA and JODVID with the youth delegation from the Bad River Band. 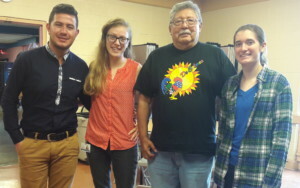 The Bad River Band representatives came to share their experience of successfully blocking the Penokee Hills copper mine on their territory in northwestern Wisconsin and their ongoing efforts to protect the earth through youth leadership. Alex spoke at a community forum in Viroqua, Wisconsin together with local environmental and queer youth activists. 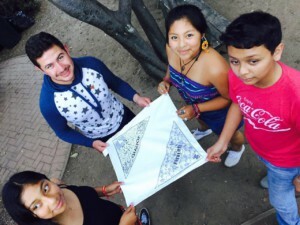 Alex participated in an art exchange with the youth from the San Francisco environmental and economic justice organization, People Organizing to Demand Environmental Justice (Poder). 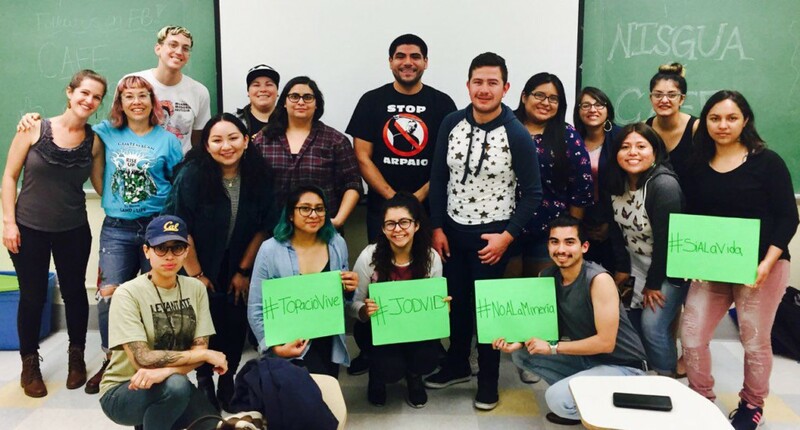 Central American’s for Empowerment (CAFÉ) organized a campus event. 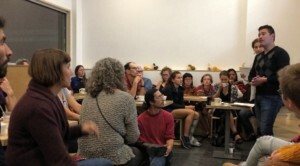 CAFÉ is a UC Berkeley group formed by Central Americans that organized campus activities that seek to deepen connections with social movements in Central America. 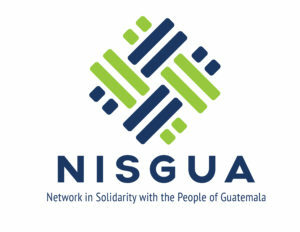 NISGUA is grateful to have been able to deepen connections with some of the many Latin America and Guatemala solidarity communities that we have organized with over the last three decades. 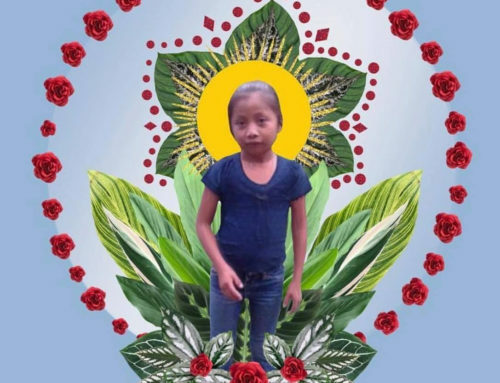 The Chicago Religious Leadership Network (CRLN) on Latin America works in solidarity with social movements in Latin America and with latinx and migrant rights movements in Chicago. They also take action locally, most recently by putting pressure on Mayor Rahm Emanuel to truly make Chicago a sanctuary city, in practice and without loopholes that allow local police to cooperate with ICE. They organized several university visits and a community event with the University Church Guatemala Partnership. 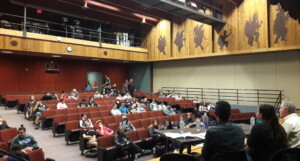 Cleveland’s InterReligious Task Force organized a Fair Trade Teach-In and Expo in which speakers and participants explored alternative and non-exploitative economic models. 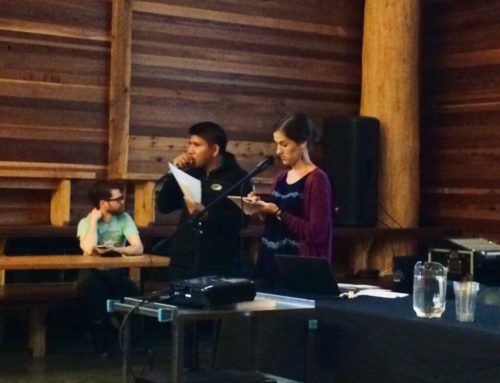 Alex was featured as a keynote speaker in which he shared about the ways that communities have stood in resistance to extractive industry projects in Guatemala. Center for Environmental International Law (CIEL) and Earthworks organized a lunch with environmental organizations in Washington, DC. 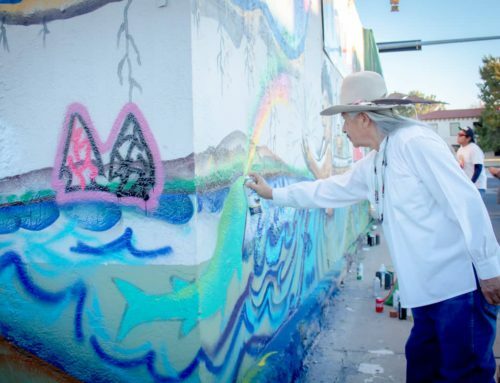 Several NISGUA sponsoring communities organized local events on tour. 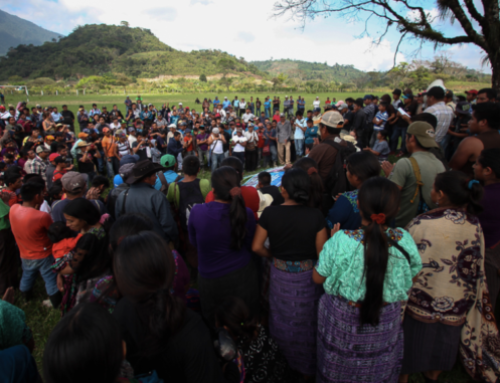 These community groups are essential part of NISGUA’s Guatemala Accompaniment Program and supports volunteers who are accompanying organizations and environmental defenders like Alex. Thank you Santa Elena Project of Accompany (SEPA) members from Oberlin, Ohio (pictured above); Kickapoo – Guatemala Accompaniment Project supporters from Viroqua, Wisconsin; United Universalist Church of Arlington – Partners for Arlington and Guatemala in Arlington, Virginia for the decades-long commitment and continued collaboration. Check out our Facebook page for more pictures from NISGUA 2017 tour.